Post-Doc in Microfluidics: Sandia National Laboratories (2003-2004). Research topic: Dielectrophoresis for the manipulation of microorganisms in water. Ph.D. in Chemical Engineering: University of Cincinnati, Cincinnati OH, USA (1998-2003). Research topic: Micro-chromatography for biomolecule purification. M.Sc. in Chemical Engineering: Instituto Tecnológico de Celaya, Celaya Guanajuato, Mexico (1996-1998). Associate Professor, Biomedical Engineering Department, Rochester Institute of Technology, Rochester NY, USA (2012-present). Associate Professor, Chemical Engineering Department, Tennessee Technological University, Cookeville TN, USA (2011-2012). Professor-Researcher 3B, Cinvestav Unidad Monterrey, Apodaca NL Mexico (12/2009-07/2011). Associate Professor, Department of Biotechnology and Food Engineering (2009) and Assistant Professor, Department of Biotechnology and Food Engineering and Department of Chemical Engineering, Tecnológico de Monterrey, Monterrey NL, Mexico (2005-2008). Dr. Lapizco-Encinas’s research interests are in the multidisciplinary area of microfluidics, focusing on cell and macromolecule manipulation with electrokinetic methods (dielectrophoresis, electrophoresis and electroosmosis). Her current research projects deal with the application of dielectrophoresis for the manipulation, concentration and detection of a wide array of bioparticles such as from macromolecules, microbes, and mammalian cells. Research efforts involve mathematical modeling to unveil the fundamentals of microscale electrokinetic techniques and experimentation to extend their practical applications. Dr. Blanca H. Lapizco-Encinas is from Cd. Obregón Sonora, a small city in Northwest Mexico. She holds a BSc and MSc degrees in Chemical Engineering from Tecnologico de Sonora (1996) and Tecnologico de Celaya (1998), respectively. She came to the US in 1998 and started her research on miniaturization and microfluidics during her PhD studies at University of Cincinnati, where she worked toward the development of a micro-chromatograph under the supervision of Dr. Neville Pinto. She graduated in January 2003. In February 2003 she joined the Microfluidics Department at Sandia National Laboratories as a post-doctoral researcher, where she worked on insulator-based dielectrophoresis (iDEP) for the concentration and separation of microbes from water. At Sandia she had the opportunity to work with Eric Cummings, one the inventors of iDEP. Her work at Sandia led to first viability assessment for bacteria employing iDEP. From 2005 to 2011 she was a professor at Tecnológico de Monterrey and Cinvestav-Monterrey in Mexico, where she established a research group on microscale bioseparations with focus on electrokinetics. In 2011 she came to the US and joined Tennessee Tech, as an associate professor. 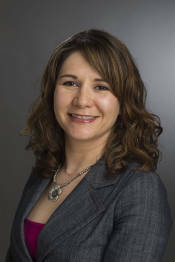 Since July 2012 Dr. Lapizco-encinas has been an associate professor at the Chemical and Biomedical Engineering Department at Rochester Institute of Technology, where she also collaborates with the Microsystems Engineering PhD Program. Her current research efforts are focused on the development of electrokinetic techniques for the manipulation of bioparticles. Her work includes both experiments and mathematical modeling of electrokinetic phenomena. Her group has worked with proteins, DNA, bacteria, yeast, microalgae and mammalian cells. Her main research objective is to develop electrokinetic-based microdevices that would answer the needs of many different applications, such as: concentrating DNA for genomics, protein purification and separation for biopharmaceuticals, microorganisms manipulation and detection for food safety and environmental monitoring, etc. The research findings obtained by her group have been published in important international journals such as lab on a chip, Electrophoresis, Microfluidics and Nanofluidics, Analytical and Bioanalytical Chemistry, among others. Her group has presented their results in numerous international conferences such as: American Electrophoresis Society Annual Meeting, Microscale Bioseparations, Meeting of the Federation of Analytical Chemistry and Spectroscopy Societies, GRC conference Microfluidics, Physics & Chemistry Of, International Symposium on Capillary Electroseparation Techniques, American Society of Mechanical Engineers, among others. She is a reviewer for several international Journals. She is Deputy Editor for the Journal Electrophoresis, where she recently acted as guest editor for two special issues on Dielectrophoresis published in September 2011. She is a Councilor for the American Electrophoresis Society. 2016 Co-Chairman for the 2016 ITP Meeting in Electro and Liquid-Phase Separations Techniques, to be held September 18-23 2016, at the Hyatt Regency Hotel in Minneapolis, MN. 2015 Received Award for "Exemplary Performance in Externally Disseminated Works" from the College of Engineering, Rochester Institute of Technology. 2014 Featured in the RIT Athenaeum for my work with undergraduate researchers. 2014 Selected as the Scholarship Featured Faculty representing the College of Engineering, Rochester Institute of Technology. 2014 Received two Awards for "Exemplary Performance in Peer-Reviewed Journal Papers" and "Exemplary Performance in Externally Disseminated Works" from the College of Engineering, Rochester Institute of Technology. 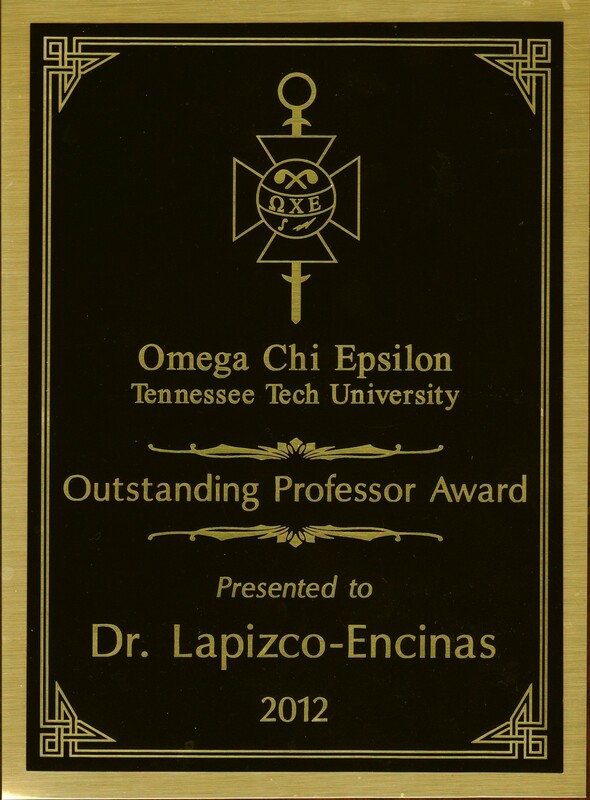 2012 Outstanding Professor Award 2012 given by Omega Chi Epsilon chapter at Tennessee Technological University. 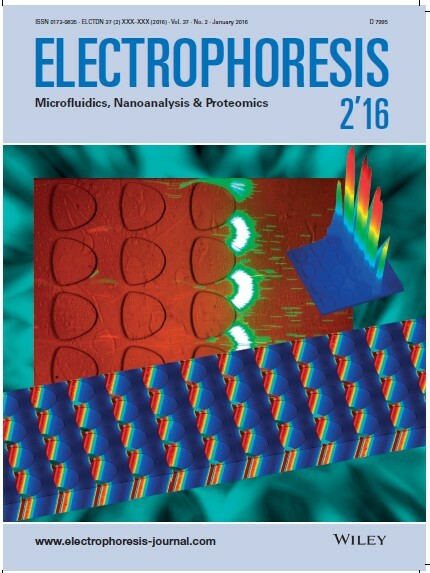 2012 Invited as “Guest Editor” for the journal ELECTROPHORESIS, the invitation is to edit the special issue entitled “Dielectrophoresis 2013”. This special issue is to be published in April 2013. This is second time this special issue is Edited, it was also edited in 2011. 2012 Invited as Keynote Speaker at the ITP 2012—19th International Symposium, Exhibit & Workshops on Electro- and Liquid Phase-separation Techniques, September 30 – October 3, 2012, Baltimore Inner Harbor Maryland, USA. 2011 Appointed Deputy Editor by the Editor in Chief of the international journal ELECTROPHORESIS. 2011 Invited as “Guest Editor” by the journal ELECTROPHORESIS, the invitation is to edit a special proceedings issue from the AES-AIChE Annual Meeting, issue to be published in July 2012. 2011 Invited as Plenary Speaker at the ASME 2011 International Mechanical Engineering Congress & Exposition, Denver Colorado, November 11-17, 2011. 2011 chairman of the 2011 Annual Meeting of the American Electrophoresis Society. 2011 Awarded Level II by the Mexican Scientist/Researchers System (SNI). 2010 Invitation to Edit the speciall issue "DIELECTROPHORESIS 2011" of the journal ELECTROPHORESIS. 2010 Member of Editorial Board of the journal Global Journal of Analytical Chemistry (04/2010-present). 2009 Member of the Mexican Academy of Sciences. 2009 Fellowship from the Nature Publishing Group to attend the conference GRC Microfluidics, Physics & Chemistry Of, Lucca Barga Tuscany, Italy, June-July 2009. 2009 Member of Editorial Board of the journal ELECTROPHORESIS (01/2009-present). 2008 L’ÓREAL-UNESCO-AMC Award “For Women in Science” for research excellence, recipient of one of the four awards given nationwide to young female scientists in Mexico in 2008. 2008 First place at the poster session of the American Electrophoresis Society held jointly with the 2008 AIChE Annual Meeting, Philadelphia PA, USA (11/2008). 2008 Teaching and Research Award 2008, given by the College of Biotechnology and Food, Tecnológico de Monterrey, 2008. 2008 Awarded Level I by the Mexican Scientist/Researchers System (SNI). 2005 CONACyT (Mexican Council for Research) Repatriation Award. 2005 Awarded Level Candidate by the Mexican Scientist/Researchers System (SNI). 2001 University of Cincinnati Summer Research Fellowship. 2000 University of Cincinnati Summer Research Fellowship. 1998 Fulbright-CONACYT (Mexican Council for Research) Scholarship to pursue PhD Studies. 1996 CONACYT (Mexican Council for Research) Scholarship to pursue MSc Studies. Vice-President, American Electrophoresis Society (2011-2012). Councilor, American Electrophoresis Society (2009-2011). Deputy Editor of the journal ELECTROPHORESIS (08/2011-present). Guest Editor for the journal ELECTROPHORESIS, the invitation was to edit the special proceedings issue "Dielectrophoresis 2015" published in July 2015. This is the third time this special issue is edited. Guest Editor for the journal ELECTROPHORESIS, the invitation was to edit the special proceedings issue “Focus Issue on 2014 AES Annual Meeting” published in August 2015. Guest Editor for the journal ELECTROPHORESIS, the invitation was to edit the special proceedings issue “Focus on the London Dielectrophoresis 2014 Meeting” published in May 2015. Guest Editor for the journal ELECTROPHORESIS, the invitation was to edit the special proceedings issue “Focus Issue on 2013 AES Annual Meeting” published in July 2014. Guest Editor for the journal ELECTROPHORESIS, the invitation was to edit the specials issue "Dielectrophoresis 2013" published in April 2013. Guest Editor for the journal ELECTROPHORESIS, the invitation was to edit the special proceedings issue “Focus Issue on 2011 AES Annual Meeting”published in July 2012. Guest Editor for the journal ELECTROPHORESIS, the invitation was to edit two specials issues "Dielectrophoresis 2011" Part I and Part II published in September 2011. Member of the Editorial Board of the journal ELECTROPHORESIS (01-2009-present). Session chair for the session “T3006 Poster session of the AES Electrophoresis Society,” 2015 AES - AIChE annual meeting 2014, Salt Lake City Utah, November 2015. Judge poster session, judged the graduate student poster competition during the 2015 Scix Annual Meeting, Providence Rhode Island, September 27- October 2, 2015. Session chair for the session “ITP01: Electro- and Liquid Phase-separation Techniques,” 2015 Scix Annual Meeting, Providence Rhode Island, September 27- October 2, 2015. Session chair for the session “T3006 Poster session of the AES Electrophoresis Society,” 2014 AES - AIChE annual meeting 2014, Atlanta Georgia, November 2014. Session chair for the “Session 3 Fabrication,” during the Dielectrophoresis 2014 meeting held at the Institute of Physics in London UK, July 2014. Panel co-organizer for the panel “What Can We Do with Electric and Magnetic Fields? - Panel Discussion,” 2013 AES - ASME 2013 International Mechanical Engineering Congress & Exposition IMECE2013, San Diego, CA, USA (11/2013). Session chair, session “T3012 Poster Session of the AES Electrophoresis Society,” 2013 AES - AIChE annual meeting Separation Techniques, Baltimore, MD, USA, September 30 – October 3, 2012. Session chair and organizer “bioparticle analysis employing electrokinetic techniques.” 38th Conference of the Federation of Analytical Chemistry and Spectroscopy Societies (38th FACSS), Reno NV, USA, (10/2011). Session chair “Electrokinetic Behavior of Microparticles and Nanoparticles: Fundamentals and Applications ,” 2010 AES - AIChE annual meeting, Salt Lake City, UT, USA, (11/2010). Session chair and organizer “Dielectrophoresis and Related Techniques,” 37th Conference of the Federation of Analytical Chemistry and Spectroscopy Societies (37th FACSS), Raleigh, NC, USA, (10/2010). Session chair “Advances in Electrokinetics and Electrophoresis - Particles and Biomolecules,” 2009 AES - AIChE annual meeting, Nashville, TN, USA (11/2009). Lapizco-Encinas B.H*., Particle separation employing dielectrophoresis, Scix 2015, Providence, RI, 09/2015. Invited Talk with complimentary conference registration. Gencoglu, A.; LaLonde, A.; Koppula, K.; and Lapizco-Encinas B.H*., Dynamic microparticle manipulation in dielectrophoresis-based microfluidic devices, ITP 2013 - 20th International Symposium on Electro- and Liquid Phase- Separation Techniques, Tenerife, Canary Islands Spain, (10/2013). Invited Talk with complimentary conference registration. Lapizco-Encinas B.H*., Dynamic particle manipulation in microfluidic devices employing dielectrophoresis, Seminar, Biomedical Engineering Department, University of Rochester, February 26, 2013. Invited seminar. Lapizco-Encinas B.H*., Dynamic particle manipulation in microfluidic devices employing dielectrophoresis, III International Seminar on Process Engineering, February 28-March 2, 2013, Monterrey NL, Mexico. Invited Keynote Talk. Lapizco-Encinas B.H*., Dielectrophoretic Manipulation of Particles: Mathematical Modeling and Experimental Results, ITP 2012: 19th International Symposium on Capillary Electroseparation Techniques, September 30 – October 3, 2012, Baltimore Inner Harbor, Maryland, USA. Invited Keynote Talk (10/2012). Lapizco-Encinas B.H*., Microscale Electrokinetics: Dielectrophoretic Manipulation of Particles, Track 11-9 9th Symposium on Electric, Magnetic & Thermal Phenomena in Micro and Nano-Scale Systems, ASME 2011 International Mechanical Engineering Congress & Exposition, Denver Colorado, November 11-17, 2011. Invited Keynote Talk. Lapizco-Encinas B.H*., Gallo-Villanueva, R.C. ; Moncada-Hernández H., Pérez-González, V.H., Baylon-Cardiel J.L., Development of insulator-based dielectrophoretic systems for handling bioparticles, 38th Conference of the Federation of Analytical Chemistry and Spectroscopy Societies (38th FACSS), Reno NV, USA, (10/2011). Invited talk with paid expenses. Lapizco-Encinas B.H*., Insulator-based dielectrophoresis for microparticle manipulation, Tennessee Tech University, Department of Chemical Engineering, Cookeville, TN (02/2011). Baylon-Cardiel,J.L., Jesús-Pérez, N.M., Chávez-Santoscoy, A.V., Martínez-Chapa, S.O., Lapizco-Encinas B.H*. Insulator-based dielectrophoresis of particles employing extremely low frequency alternating current electric fields, 37th Conference of the Federation of Analytical Chemistry and Spectroscopy Societies (37th FACSS), Raleigh, NC, USA, (10/2010). Lapizco-Encinas B.H*., Particle manipulation with insulator-based dielectrophoresis, Arizona State University, Chemistry and Biochemistry Department, Tempe AZ, USA, (09/2010). 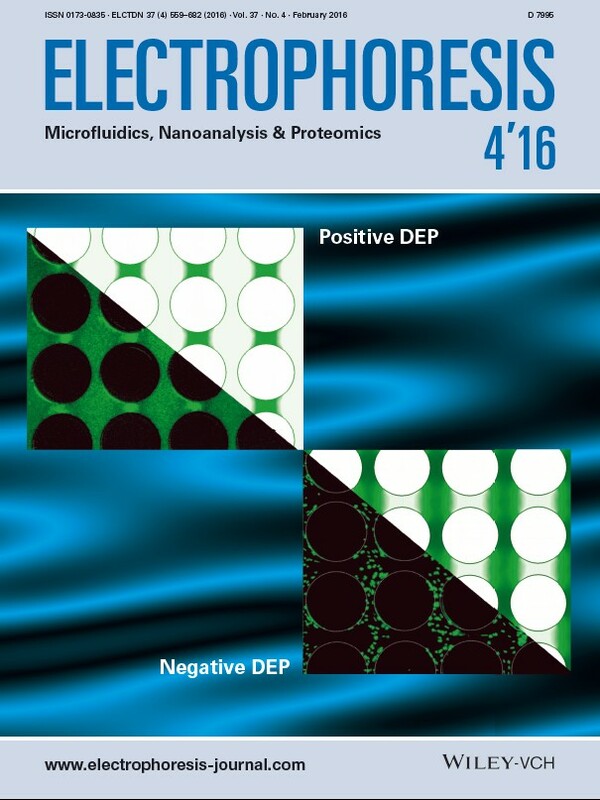 Baylon-Cardiel,J.L., Jesús-Pérez, N.M., Chávez-Santoscoy, A.V., Martínez-Chapa, S.O., Lapizco-Encinas B.H*., Dielectrophoretic Manipulation of Particles Employing Low Frequency Alternating Electric Fields in an Array of Insulators, ITP 2010: 17th International Symposium on Capillary Electroseparation Techniques, Baltimore, MD, USA, (8/2010). Lapizco-Encinas B.H*., Insulator-Based Dielectrophoresis, for Bioparticle Manipulation, University of Louisville, J.B. speed School of Engineering, Department of Chemical Engineering, Louisville, KY, USA, (10/2009). Lapizco-Encinas B.H**., Application of AC and DC Electric Fields in Insulator-Based Dielectrophoresis, 36th Conference of the Federation of Analytical Chemistry and Spectroscopy Societies (36th FACSS), Louisville, KY, USA, (10/2009). Lapizco-Encinas B.H* “Microscale Bioseparations: Electrokinetic Methods”, Campus Ciudad de México, Tecnológico de Monterrey, Mexico City, (03/2009). Lapizco-Encinas B.H*., Bioparticle Manipulation with Insulator-Based Dielectrophoresis, AICHE Annual Meeting 2008, Philadelphia, PA, USA, (11/2008). Jove, Journal of Visualized Experiments.